Plan unreliability is a serious issue in the construction industry. Since the industry is fragmented and every project is unique, time overrun is a chronic problem. In this context, Last Planner Concept (LPC) has been considered as a valuable approach for the management of the construction process. 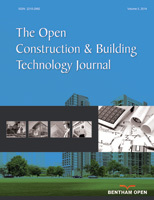 This study contributes to a better knowledge of the lean construction and last planner concept, and therefore the efficiency of their implementation. The aim of this paper is to determine the main factors supporting the applicability of Last Planner Concept (LPC) and to determine its challenges/barriers in the Gaza Strip construction industry. At first, all the relevant literature was systematically reviewed. At this stage, 17 critical success factors and 18 barriers for LPC were identified. After that, a survey was conducted through a questionnaire to collect the data from 98 contractors. A Likert scale data were analyzed to rank the success factors and the barriers using Relative Importance Index (RII). The results showed that “Close relationship with subcontractors" and "Top management support” are the main factors that affect the successful application of LPC. Moreover, “lack of skills, training, and experience” and “lack of the training program for the managers” were deliberated as the key obstructs of the LPC implementation. It is recommended to choose the subcontractor based on his previous expertise and competence such as workers, tools, and machinery. The subcontractor should support all parties to address the project problems to make the right decisions for project objectives achievement. Keywords: Barriers, Construction industry, Gaza strip, Last planner, Success factors, Likert scale data. © 2018 Tayeh et al.